Gone ‘live’ this week is a new weight management & fitness class website for the lovely Vikki Radford, proprietor of Shape Yourself Classes, located in Denton, Hyde & Stockport. 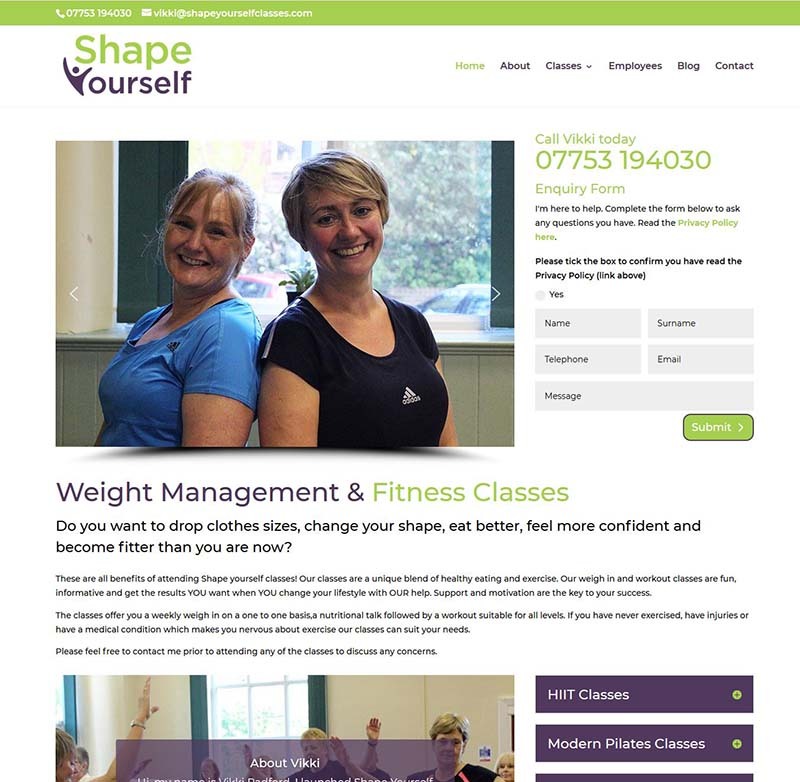 If you’re experiencing the effects of summer holiday indulgence or just want to improve your fitness, please visit Vikki’s new website. Vikki offers HIIT Classes, Pilates, and Weigh In & Work Out. For a website design for your own business, please contact myself, Jackie, on 07793 323749 7 days a week.